The best way to see Key West is on the water. During your Key West vacation, choose a boat charter to your liking and enjoy time out on the horizon. Want to see your options ahead of time? Look no further. Whether you’re looking for a private charter or a more economic choice, there’s no shortage of sport fishing options on Key West. Feel the strength of a tarpon on the line and try to catch all other sorts of fish. Spring and early summer are usually the busiest seasons, so it’s crucial to book in advance. We recommend you book with Key West Pro Guides, one of the largest and oldest charters in the area. Dream Catcher Charters is also an excellent choice for backcountry fishing. For shared charters, check out Gulfstream Fishing, Inc.
Want to snorkel the reef? Snorkel charters across the island supply visitors with gear and transit to explore the best parts of the reef. Check out deals with Sebago Key West or with Fury Water Adventures, who offer a “Reef and ‘Ritas” package that includes snorkeling in the reef and margaritas on the way back. If are looking for a scuba dive experience, Blue Water Charters can take you on shipwreck, reef and drift dives and supply all the equipment. Not quite the watersport or sport fishing type? 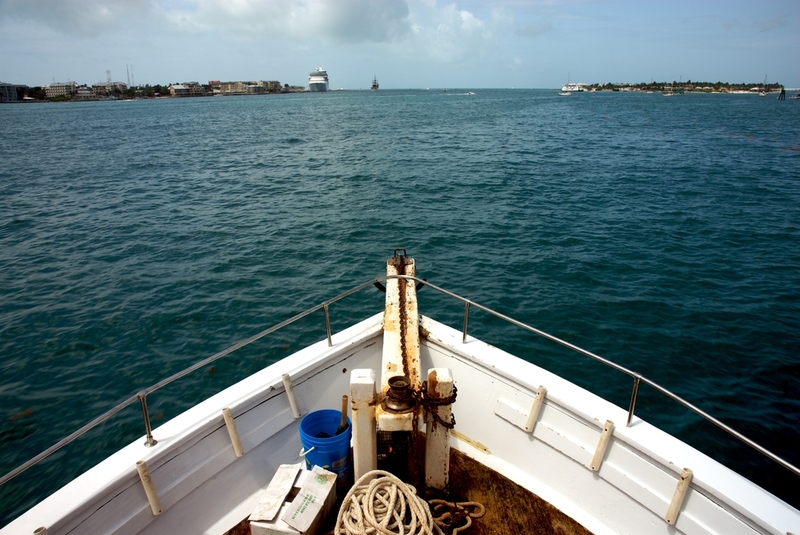 Enjoy a cruise around the waters of Key West to spot dolphins, sea turtles and more. For 6 people or less, we suggest you check out dolphin tour or kayak options with HonestEco. Wild Dolphin Adventures offers dolphin watch and snorkeling charters and more. If you want to enjoy the famous sunsets of Key West, a short sunset cruise is an excellent way to wind down the evening. For a sunset sail, Sunset Sail Key West has a stellar reputation and great sunset options. Fury Water Adventures is also a popular choice, with an 1.5-hour catamaran sunset cruise complete with champagne, beer, and wine. Check out their seasonal sunset cruise options. Want to put this guide to use in the Conch Republic? Check out rates at 24 North Hotel.